El Muerto screening in San Francisco June 3 and 5! This year's Another Hole in the Head film fest will be hosting two El Muerto screenings! I'll be at the sunday night showing and will host a Q&A after the film. So any Bay Area Muerto fans please come out and check out the film and support the festival. The screening is held at the Roxie Cinema and should be a blast. 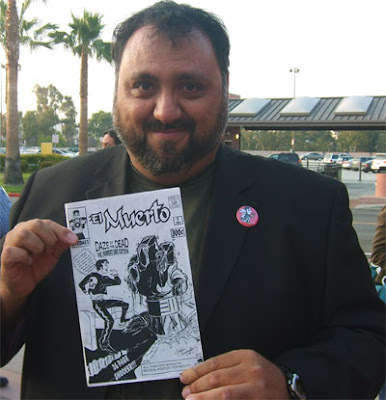 Astute readers will note that El Muerto has a very special connection to the Bay Area. 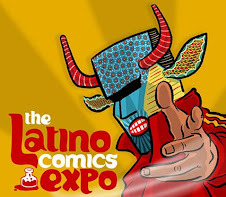 I debuted El Muerto at the 1998 Alternative Press Expo in San Jose. And in fact, two months later at WonderCon in Oakland, I almost killed him off! I was having a really bad show that day. No sales, no interest...nada! After taking a sullen stroll to the hotel bar and pounding down a rather mild Screwdriver (Vodka and orange juice to our younger readers!) I walked back to the table prepared to tear it down, pack it up and head back down to Whittier! Well, as I got to the table, there was reporter from a local paper waiting for an interview and a couple of fans ready to buy comics! Long story short, I stuck around and pledged to never let myself get down like that again. I've attended every single APE since then and have met many wonderful fans and made some great friends up North. And now I'll be showing the movie based on my comic book in good ol' San Francisco! How's that for a Hollywood ending?! Check out the festival site and order your tickets! Hope you make it out there! Great time at the East LA screening! Friday night's screening at the Reel Rasquache Latino Film Festival at Cal State LA went really well and it's another memorable event to keep in the record books! This was about the fifth time I've seen the final version of the film, and our second film festival. Still enjoying the film upon multiple viewings, and in fact each one so far has it's own unique dynamics to it. Either because I've got different groups of friends/family in the audience or just the audience itself will always react differently. One thing I notice about this screening is there were a lot more folks in the audience jumping out of there seats when the scarier moments appeared onscreen! There was a pair of ladies behind me just screaming out their lungs at certain moments! It's so great experiencing these live moments. One of my favorite moments during any screening is the scene where I appear in my cameo. I can tell I have friends in the audience because they'll give out a shout-out or a chuckle when I show up. 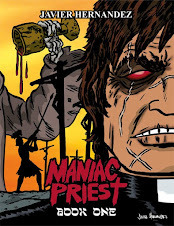 And during the opening credits (for which I illustrated the title cards) I usually get a quick little round of applause for the credit 'Based on the comic book El Muerto by Javier Hernandez'. 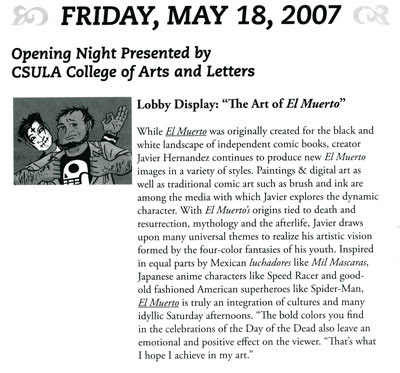 The screeening was held at Cal State Los Angeles, and in fact El Muerto was the opening night film for the three day festival. What's really cool about these festival screenings (as opposed to some of the private screenings we've had) is that they usually have tickets with the name of the movie printed on the ticket. Now that's a souvenir worth scrapbooking! One of my good friends from college, Tony Saxon, came to the screening and brought a surprise with him. A copy of the 1998 'Daze of the Dead: The Numero Uno Edition', the very first El Muerto book I ever printed! Of course I have my own copy of this book (and another copy or two to one day put on Ebay!! ), but it was pretty cool seeing one of the original Muerto comics. Back when I made that book, photocopied at a local CopyMax, I never would have thought that I'd be attending a screening of a live-action film based on that very same issue!! In fact, it was this little book that I sent director Brian Cox when he first heard my interview on NPR, back in the summer of 2001. He really enjoyed the story and the character of El Muerto as he appeared in the first issue. 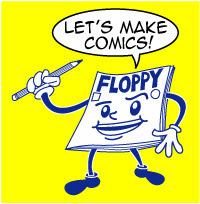 He didn't need to see a full-color comic series or graphic novel! Pretty amazing, if you ask me! The name of the building where we screened the film is actually called The Intimate Theatre! 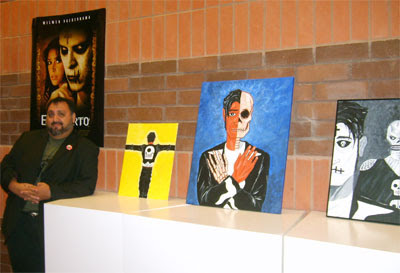 In the lobby itself, they set up a little display of some of my Muerto artwork. On the other side of the lobby was a table where I had some prints for sale as well as comics and zines. It was nice being handed some comics to sign right after the screening. Here's the listing in the program guide and a shot if some of the artwork on display. My friend Michael Aushenker realizes he already has the stuff on the table!! "Where's the new book, dammit?!" Watching the film in that theatre was really good, because while it was the smaller venue of the two film festivals we've done, my producer Larry Rattner and I agreed that is was the best sounding screeening we've attended so far. And the smaller size of that theatre really lived up to it's Intimate description. I sat in the front row this time and could really feel the audience sitting behind me as they experienced the picture. Among the many things in the film I look forward to each time is savoring the wonderful performances and great actors we were fortunate to have in our film. Everytime I see Tony Plana and Michael Parks in a scene together I get this feeling of satisfaction that El Muerto is the place these two tremendously talented actors meet onscreen (at least to my knowledge...let me know if that's not the case). And seeing Wilmer Valderrama as the living incarnation of the undead Diego/El Muerto on the screen is still a miraculous sight for this average Jose from Whittier, CA to see. 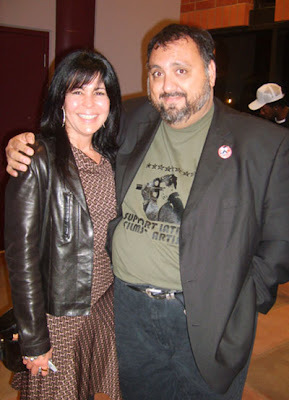 One of the actors from the movie who I ran into that evening was Maria Conchita Alonso. She actually came up to me and gave me a hug, that was real cool. She plays Sister Rosa, a nun who works at the church that turns out to have it's share of action in the film. Quick story about Maria Conchita: One day while filming I was hanging out at the Craft Service table (the table where all the world's snack food is located during a film shoot!). Maria came by and looked for a quick bite. She got a slice of apple and put some peanut butter on it for a snack. I looked at her and said, "Yeesh. Peanut butter on apple?" Not missing a beat she told me "No, no. It's good! Here, try one". She then got a new apple, cut off a slice and placed some peanut butter on it and gave it to me. I tried it, and actually thought it tasted really good! I actually love peanut butter so who knows why I commented negatively in the first place! But, at least now I can saw that Maria Conchita Alonso put peanut butter on my apple!! As it was a film festival, I had a chance to meet other filmmakers, several young directors with their various indie films making their own festival rounds. They gave some nice compliments on the film, which was great. It's nice to meet other filmmakers and share our own experiences with one another. Comparing notes with fellow creators in comics and film kind of runs the same, we all know the hardships and trials one another goes through but also we have a mutual respect and understanding for each other's work. I'd certainly like to work on further film projects myself, hopefully some Muerto franchise action as well as a new idea or two. Also I ran into a guy who's organizing a film festival in a the area, so I introduced him to my producer and we talked about entering our film in his festival. I'll post news on that as it becomes official. Here are a couple of fans of the movie outside in the courtyard after the screening (actually they wanted more beefcake shots of Wilmer in the film!). 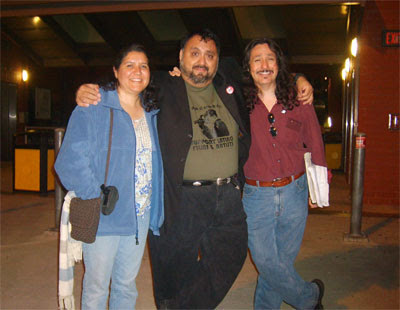 The young lady on my right is actually the daughter of my friend Martin Espino (he played the ancient Mexican instruments in our film scrore as well as chanting in Nahuatl, the language of the Aztecs) and her friend on my left. I told them if we do a sequel I'll see about getting them aboard as extras. The reception following the film was held in the courtyard outside the theatre and was catered with some really good food and open bar. What I thought was cool was that the food, beef and chicken quesadillas, was served in really nice looking silverware! In fact, there was a platter of chips with the nacho cheese contained in a large fancy looking silver bowl! East LA snack food served up in ritzy looking silverware...NICE!! I got a chance to chat it up with all kinds of people and mingle with lots of my old friends who made the screening. 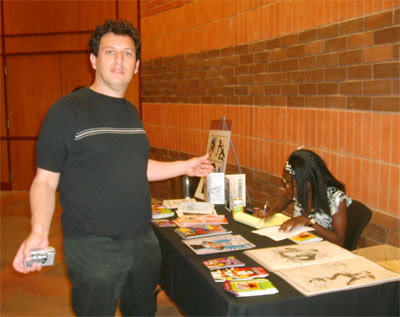 A good collection of comic book creators and other artists were in attendance. It was kind of like a micro-comics convention! One of the cartoonists in attendance was Rafael Navarro and his wife Irma, friends of mine for about 15 years now. Raf and I met at a life-drawing class at Cerritos College, and immediately hit it off when we found out we were both comics geeks. 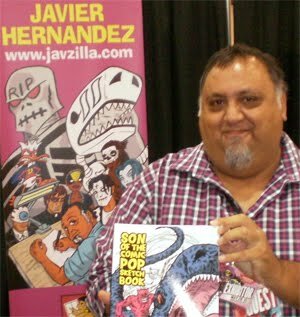 I actually joined Raf at his table for the convention where he debuted his Sonambulo comic book at, and the following year I debuted El Muerto at the same show. Over the years we've done a lot of shows together and seen our fair share of comic book movies, so it was great that he and Irma were able to finally see EL Muerto. In fact, they both appear as extras in the film, with Irma getting a pretty prominent placement in one shot with Wilmer. Great going, Mrs. N!! So Rafael can be credited with a guest cameo in another creator's comic book film adaptation! Prof. John Ramirez, the director and founder of the festival, put on a great show and was a pleasure to work with. He has my sincere thanks. It was a really wonderful night and gettting that enthusiastic response from the audience is very encouraging. Most people comment about the very high quality of actors in the movie, with my title card sequence also getting a vote of approval. Most people want more El Muerto, so if everyone else who sees the movie feels the same way, and supports the film at the theatre and on DVD, then you never know. You just might one day read a post here that says "EL Muerto Dos gets greenlit!" El Muerto screening in East Los Angeles MAY 18! Okay all you Southern Cali Muerto fans, here it comes! 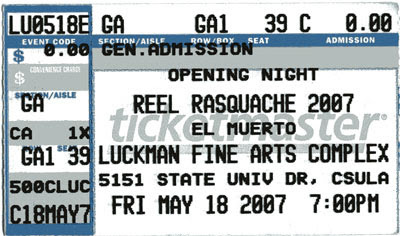 EL MUERTO will be screening at the REEL RASQUACHE LATINO FILM FESTIVAL at Cal State LA on friday night, 7 pm on May 18! Tickets are available through the Luckman Fine Arts box office, and I would recommend jumping on this quick as seating is limited! I'll be at the screening of course, as well as attending the after-party reception! Come and support this great independent film, in this, the Golden Age of Comic Book Movies!! I never would have thought back in the swinging 70s as a little impressionable kid that one day there would be a film based on a comic book I created, hot on the heels of the Spider-Man movie trilogy! Simply miraculous, I gotta tell ya. Among the great talent in the Muerto movie are Wilmer Valderrama (THAT 70s SHOW), Angie Cepeda (LOVE IN THE TIME OF CHOLERA), Tony Plana (UGLY BETTY), Joel David Moore (ART SCHOOL CONFIDENTIAL), and the great Michael Parks (GRINDHOUSE). How's that for a stellar cast?! And of course I held my own in my little cameo, too! I was born in East LA, lo many years ago, so it's really nice to be able to screen the film, about my zombie superhero, in my birthplace. Hope to see and meet many of you at this magical evening!